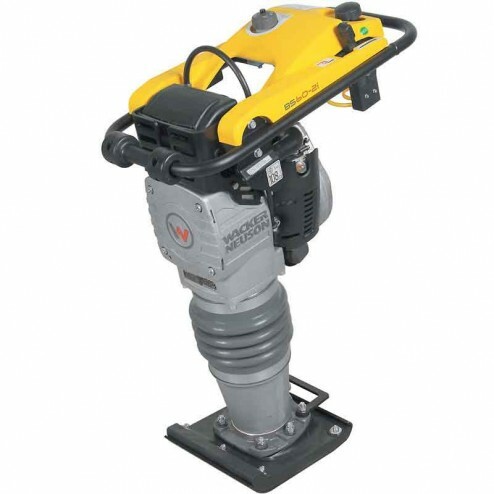 The Wacker BS70-2i Rammer Tamper has a unique patented oil-injection system provides reliable performance by eliminating spark plug fouling and carbon buildup. The no-mix system is an added convenience for operators. Plus an amazing fuel to oil ratio of 120:1 allows for longer and cleaner running times up to 65 hours on a single tank of oil. A low oil shutdown switch prevents running the rammer without oil for trouble-free operation. Rugged rammers designed for the compaction of cohesive mixed and granular soils in confined areas. Powered by Wacker Neuson's exclusive WM 80 engine the only 2-cycle engine specifically designed and built for vibratory rammers and meets all EPA and European air emission standards. Purge bulb evacuates air from the fuel line for easy starting The fuel valve and kill switch are integrated into the throttle lever to reduce complexity of operation. Exclusive carburetor compensates fuel/air mixture for optimum performance and extended air filter life. A unique three-stage air filtration system provides a virtually dust-free engine for longer life and improved durability. A filter minder tells the operator when the air filter needs to be changed. Auto release choke provides industry leading safety and ease of starting. The guide handle's engineered shockmount system reduces HAV (hand-arm vibration) and improves operator comfort. Automatic shutoff feature will shut down the unit if left idling for an extended period of time reducing emissions and carbon build-up. 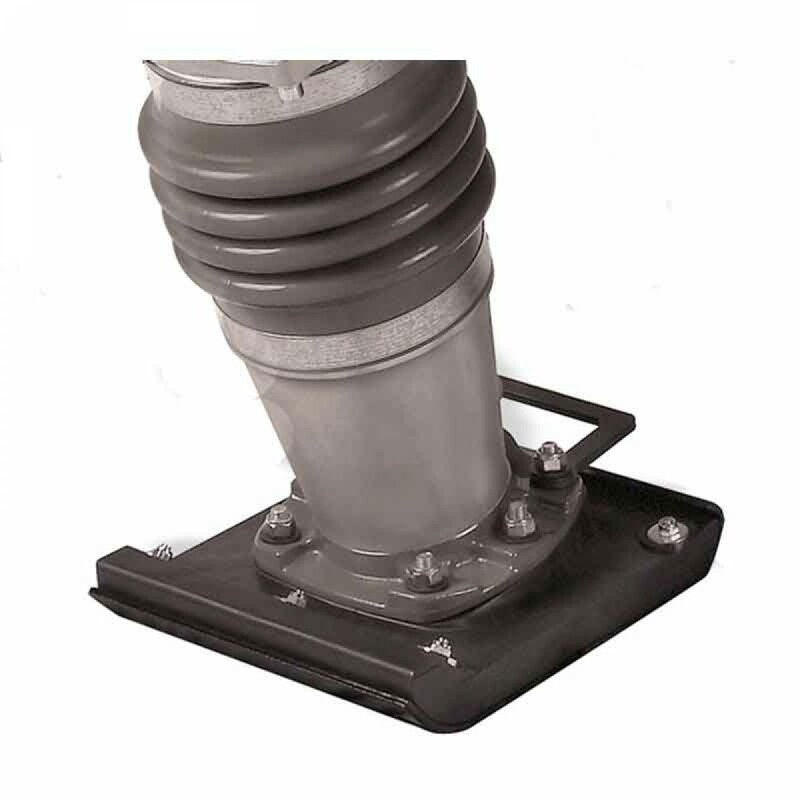 Cast aluminum recoil start with oversized durable rope extends life in harsh environments. An integrated muffler wraps around the engine allowing for closer compaction to structures and protects the muffler. 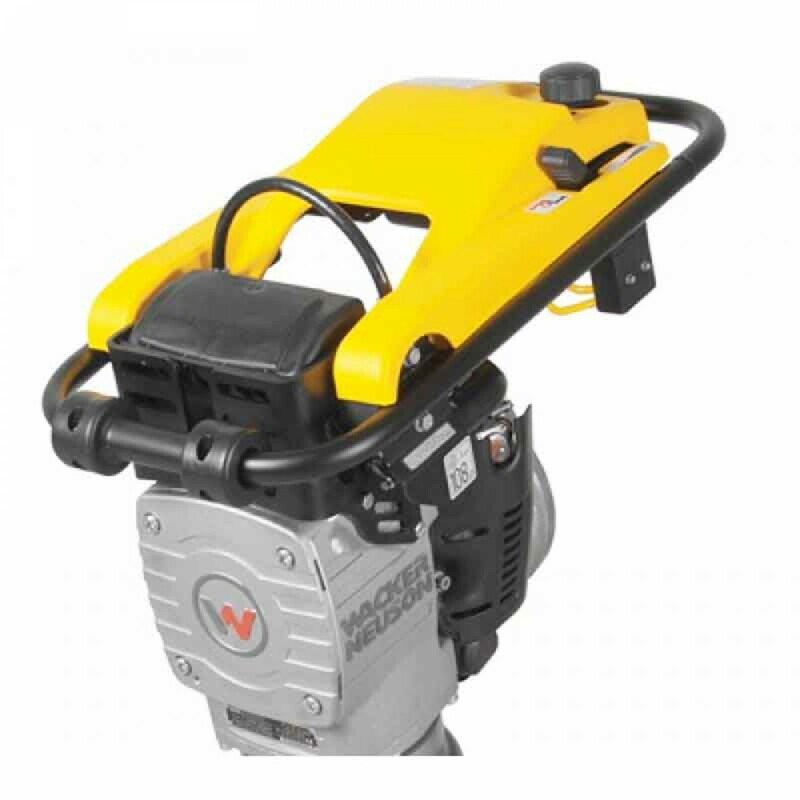 The Wacker Rammer BS 70-2i Soil Compactor features an integrated shock-mount system to lower vibrations transferred to the operator and increase control. Ideal for compacting most soils in confined areas. Up to 29" per minute travel speed. Compact over 1850 square feet per hour.